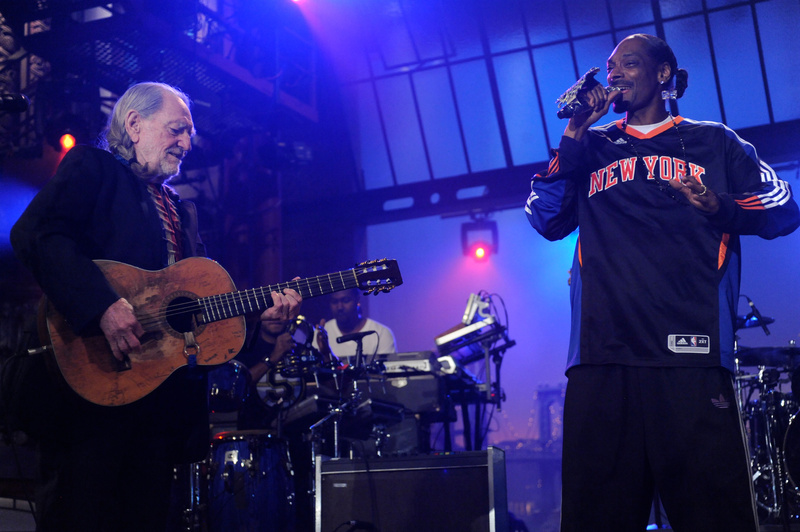 Fans went crazy Tuesday night at New York’s legendary Ed Sullivan Theater when country icon Willie Nelson made a surprise appearance with Snoop Dogg during the rapper’s ‘Live on Letterman’ performance. 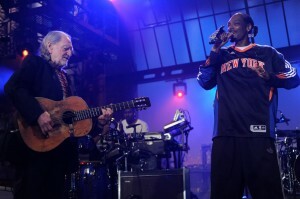 Willie talked of their time together in Amsterdam before the duo sang ‘Superman,’ a track Willie wrote for Snoop’s last album. This is the second time the fast friends have collaborated. Willie is also featured on the rapper’s track, ‘My Medicine,’ which is dedicated to Willie’s late buddy Johnny Cash. Stay tuned for my complete review and the video from their ‘Live on Letterman’ performance.